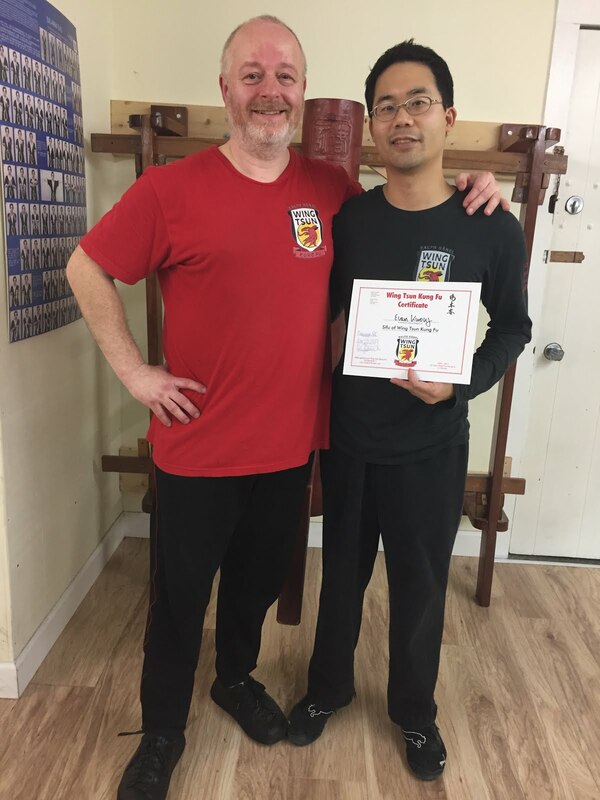 This year, Si-Fu Ralph Haenel of Wing Tsun Kung Fu Vancouver celebrates 20 years of teaching in Vancouver, BC! And thus the 1st seminar of 3 (yes 3 in this special series!) was held at Si-Hing Philip of Golden Monkey Martial Arts Club. So, what did we learn in this amazing seminar? The first of three special seminar series? For the 20th Anniversary year? The devil is in the details. It's not necessarily what we trained, but how we trained. And what are the details? Whole Body Movements. This concept is also nothing new. You have heard it before already in an old blog post about Sticky Body. But knowing a concept of training is different than actually practicing and training. We were taught how to practice and train these movements. When I first trained WT, I had to emulate a tan sau. Eventually though, I thought my tan sau looked and felt like how it should. To a cooperative partner, it also looked and felt like a tan sau. My tan dar (tan sau + punch) was "working". It felt great. Then I met Sifu Ralph. To the uncooperative partner or an aggressive attacker not familiar with WT, the tan sau as I knew it did not work. Why? My biomechanics of producing the tan sau/dar were not correct or not optimal. The problem? It came only from my forearm, you could say. To put it simply, all the movements should originate from the whole body via different connections. One important connection is via the shoulder girdle, and all the upper back muscles. It's not about how a tan sau looks or feels, but most importantly about how it functions. The same could be said about the bong sau, jum sau, gwat sau, kau sau, etc. Try an exercise. Stand up. Envision a punch coming towards your chest, let's say. Now, do a tan dar. (Already, this is supposedly wrong, because theoretically the tan dar should happen on its own rather than you creating it. But if you are good enough, again theoretically you can create the opportunity to do a tan dar). 1. Did you do a strike or a man sau first? 2. When you moved your arm forward, where did the movement start? 3. Are your forearms tense or relaxed? 4. When does the tan sau action start to happen? 5. Why does it happen? 6. Do you feel like you are pushing outwards? 7. What are you absorbing a greater incoming force with? 8. What is the wedge you are creating? 9. Are you instead relying on your own brute strength to block/wedge/parry/get through? 10. Is the balance of the opponent perturbed? 11. How is your breathing? 12. Are your shoulders up or down? 13. What are all of your other joints doing? Just some questions to think about. It didn't take much, but a day after the seminar of "basic techniques" my rhomboids, lats, and abdominal obliques are feeling it. And it wasn't just due to all the laughing at Anton's Pasta. P.S. Training basic skills reminds me of yet another previous blog post about Fear of Failure.